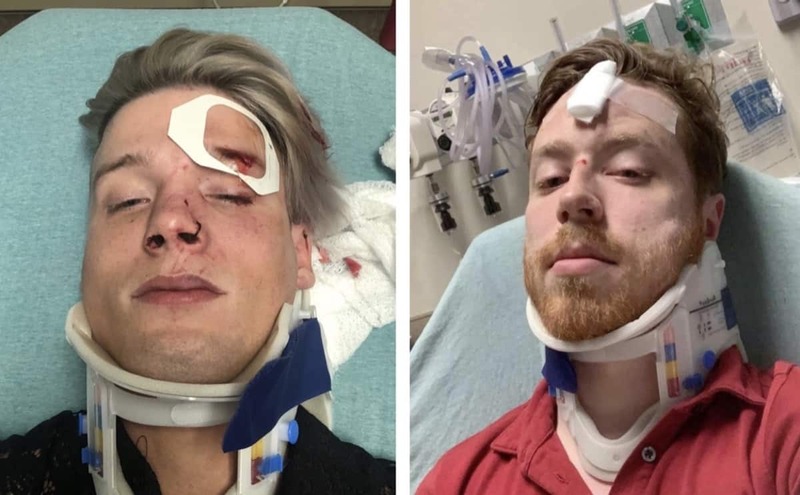 Spencer Deehring and Tristan Perry, a gay couple in Austin, Texas, were attacked while leaving a nightclub in the early hours of Saturday morning, targeted because they were holding hands. Deehring told KXAN that they were attacked near 7th Street and Red River Street by a man who had called them a homophobic slur and the man’s friends. Deehring was beaten unconscious and Perry had his nose broken and was kicked hard in the back of the head. Both were hospitalized after a bystander called 911. The couple launched a GoFundMe campaign to pay for their medical expenses.